All the bills are listed under the Bills module. 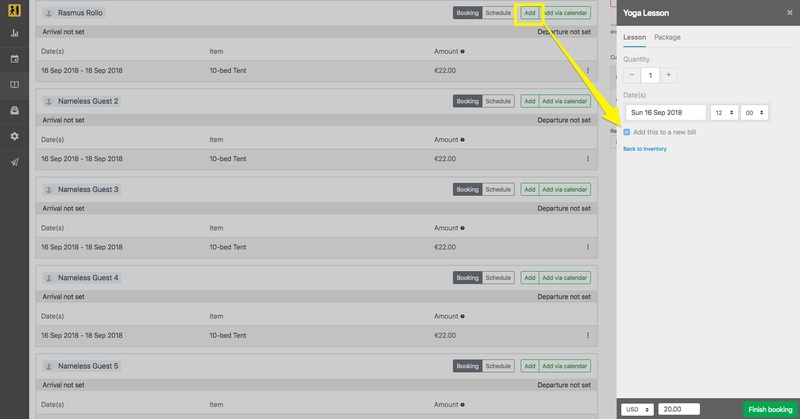 If you want to add an item to a customer's booking which is in a different currency or requires a separate invoice to the original booking, you can add it to a separated bill. his is helpful when client has already paid the default package but on site wants to book more items. 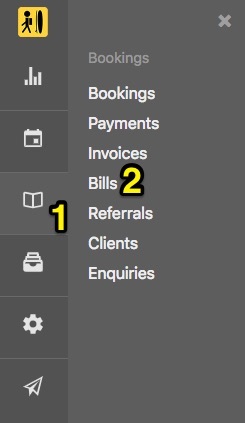 A new invoice will be created and will not change the original bookings' invoice. In the Bookings page, click on Add and choose the item you want to book. 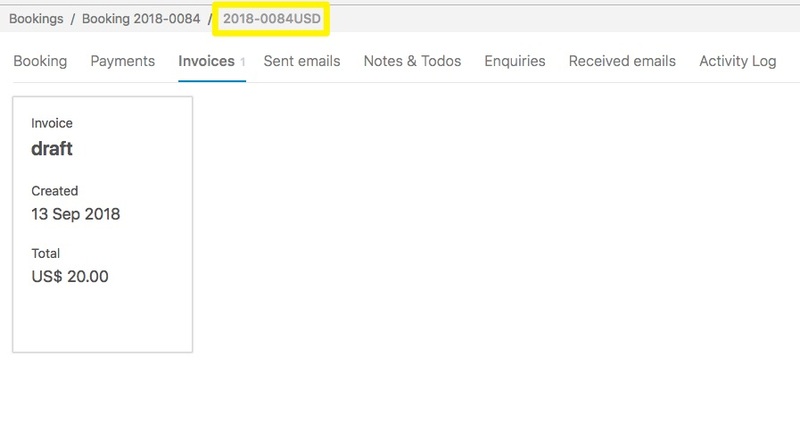 Select the option to "Add to a new bill"
A new bill will be created with a reference to the currency of the recently booked item (In this example, the bill reference is 2018-0084USD). Using the drop-down option, you can choose to go back to the original booking page. By clicking on the little engine icon, you can update the new bills' reference. Note, that this one is available only for users with editing rights. Please note that for different bills, a different invoice is also created relative to the item(s) you added to the new bill.